Status: Located; Civil War registration card. A.G. Dillon and Mollie Sappington 25th wedding anniversary party. News clipping of Alfred Dillon and Mollie Sappington twenty-fifth wedding anniversary. Status: Located; Sedalia Democrat. Tuesday, September 9, 1947 page 4 column 6. Status: Located; Page 24, listing children. Status: Located; Page 25, names children. 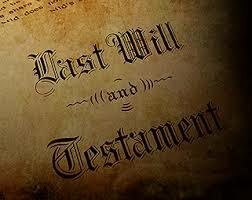 Status: Located; Malachi Cass and Susan Brown Marriage Record. Status: Located; Baptismal certificate of Edward Stanton Behen, son of Michael and Libbie Behen. 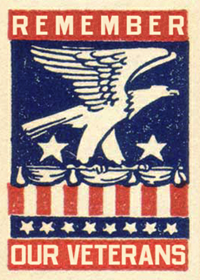 Status: Located; Birth certificate of Edward Stanton Behen, son of Michael J. and Libbie Behen. 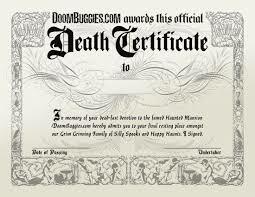 Status: Located; Death certificate of Edward Stanton Behen, son of Michael and Libbie Behen. 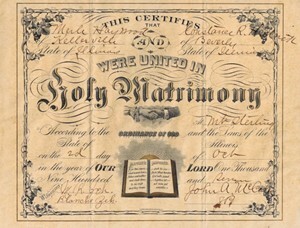 Status: Located; Marriage certificate of Eli McJ Lambeth and Martha Burgess. Eli was the son of Joseph Lambeth and Rhoda Louden. Estella-Colbert Davison and husband Elmer Davison, victims of a hit and run. Estella dies of her injuries. Taken from the Cincinnati Enquirer, Cincinnati, Ohio, 17 August 1963, page 23. 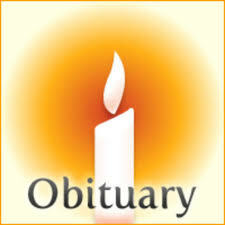 Obituary. Status: Located; 1812 War pension file.